Completing a year in industry provides you with a foundation of experience to build on, which is a sought after quality by prospective employers. “The course lends itself well to students going into either a PQS role or working for a contractor. Being the latter, I most enjoyed the aspects that prepared me for this such as the contractual modules. “The course has a very diverse staff team in terms of background and experience which can only be a benefit to students to draw from. “In final year we were set a task whereby we were a contractor developing a tender bid for a project similar to Laing O’Rourke’s Meadowhall redevelopment project in Sheffield. As part of the brief we visited the live site. In our team we produced a report and poster detailing our bid before delivering a presentation to the “client” who were actually Laing O’Rourke representatives. The guest lectures given as part of the module gave a good insight to the pre tender process of a large project and delivering the presentation was great practice for the future. “I worked for VolkerFitzpatrick, a national contractor working across all major disciplines. As part of the rail division in London, I worked on the construction of Lea Bridge Station and the design stage of Hackney Wick Station redevelopment. During the placement I was responsible for many aspects of work including managing sub contract packages and forecasting things like staff time throughout the projects. How will the skills gained on placement enhance your employability? 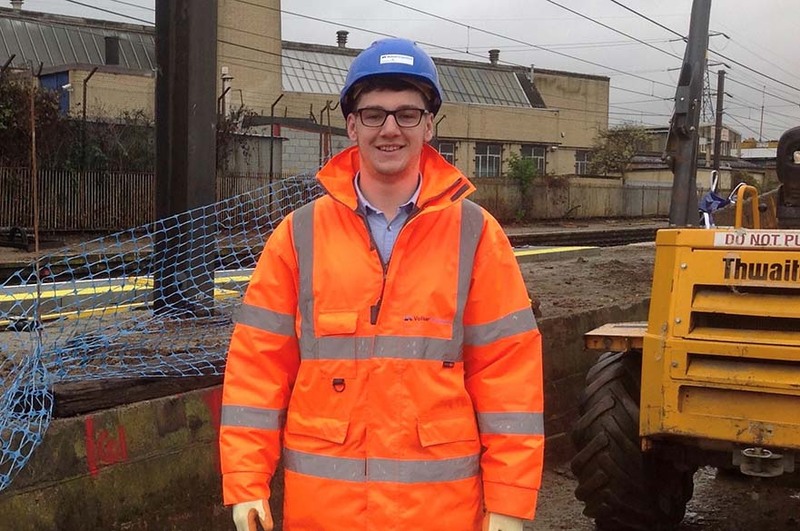 “A placement gives the opportunity to gain a range of new skills. In general a sense of professionalism is earned through working as part of a team and with other businesses on top of specific skills such as understanding how aspects of the works are measured and forecast.